The Federation of Tax Administrators provides a complete listing of state tax forms that are available online. 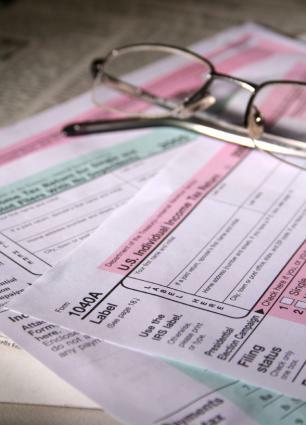 The U.S. Department of Labor makes some state tax forms available and provides links to some state tax agency websites. Please note that not all states have income taxes. Alabama: Department of Revenue; select the "Forms" link at the top of the page. Arkansas: Department of Finance and Administration; select "Income Tax" option at the bottom of the page and then the "Forms" link under the "Individual Income" on the left side of the page. California: Franchise Tax Board; select the "Forms and Publications" link at the top of the page, which allows users to search for the tax forms. Colorado: Department of Revenue, Division of Taxation; select the "Tax Forms" option in the middle of the page. Delaware: Division of Revenue; select the "Forms, Personal Income Tax" option on the left side of the page, under the "Information" category. Idaho: State Tax Commission; the state's most commonly used tax forms are listed on the main page. Illinois: Department of Revenue; select the "Forms" link on the left side of the page. Indiana: Department of Revenue; select the "Forms" link on the left side of the page. Iowa: Department of Revenue; select the "Forms" link on the top of the page. Maine: Revenue Services; select the "Forms, Publications and Applications" option at the top of the page. Maryland: Departments of Assessments and Taxation; select the "Forms and Applications" link at the top of the page. Massachusetts: Department of Revenue; select the "For Individuals and Families" tab at the top of the main page and then the "Forms and Publications" option under "Personal Income Tax". Michigan: Department of Treasury; the agency's main page allows users to search for the form they seek on the left side of the page. Minnesota: Department of Revenue; select the "Forms and Instructions" option at the top of the page. Mississippi: Department of Revenue; scroll down and select "Taxpayer Access Point." Missouri: Department of Revenue; select the "Forms and Manuals" option at the top of the page. Montana: Department of Revenue; select "For Individuals Online Tax Forms File and Pay" option in the middle of the page. Nebraska: Department of Revenue; select the "Forms" option on the left side of the page. Nevada: Department of Taxation; select "Common Forms" on the left side of the page. New Hampshire: Department of Revenue Administration; select "Forms" on the left side of the page. New Jersey: Division of Taxation; select "Individuals" at the top of the page and then "Forms" from the drop down menu. New Mexico: Taxation and Revenue Department; select the "Forms and Publications" option, listed at the top of the page. New York: Department of Taxation and Finance; select "Find Forms and Publications" at the left side of the page or one of the forms listed under "Top Forms" on the bottom left of the page. North Carolina: Department of Revenue; select "Tax Forms", located at the top of the page. North Dakota: Office of the State Tax Commissioner; select the "Misc. Forms/Pubs" option. Ohio: Department of Taxation; select the "Individuals" option at the top of the page and then "Get a Tax Form" on the left side of the next page. Oklahoma: Tax Commission; select the "Forms and Publications" option on the menu bar. Oregon: Department of Revenue; select the "Forms and Publications" link on the left side of the page. Pennsylvania: Department of Revenue; select the "Forms and Publications" option on the left side of the page. Rhode Island: Division of Taxation; select the "Forms" option on the left side of the page. South Carolina: Department of Revenue; select "Forms" at the top of the page. South Dakota: Department of Revenue; select the "Forms" option located at the top of the page. Tennessee: Department of Revenue; select the "Forms" option on the left side of the page. Texas: Comptroller of Public Accounts; select the "Tax Forms" option on the right side of the page. Utah: State Tax Commission; select the "Forms and Pubs" link at the top of the page. Vermont: Department of Taxes; select the "Forms" link on the left side of the page. Virginia: Department of Taxation; select "Forms" from the menu. Washington: Department of Revenue; select the "Get a Form or Publication" link on the left side of the page. West Virginia: State Tax Department; selecting the "Forms" option on the left side of the page produces a drop-down menu of available forms. Wisconsin: Department of Revenue; select from the Forms menu on the right side of the page. Wyoming: Department of Revenue; select the "Forms" option at the top of the page. Around tax time, most states also make tax forms available at community centers, public libraries and schools. Contact your state tax department to determine whether the agency has placed tax forms at a location near you.